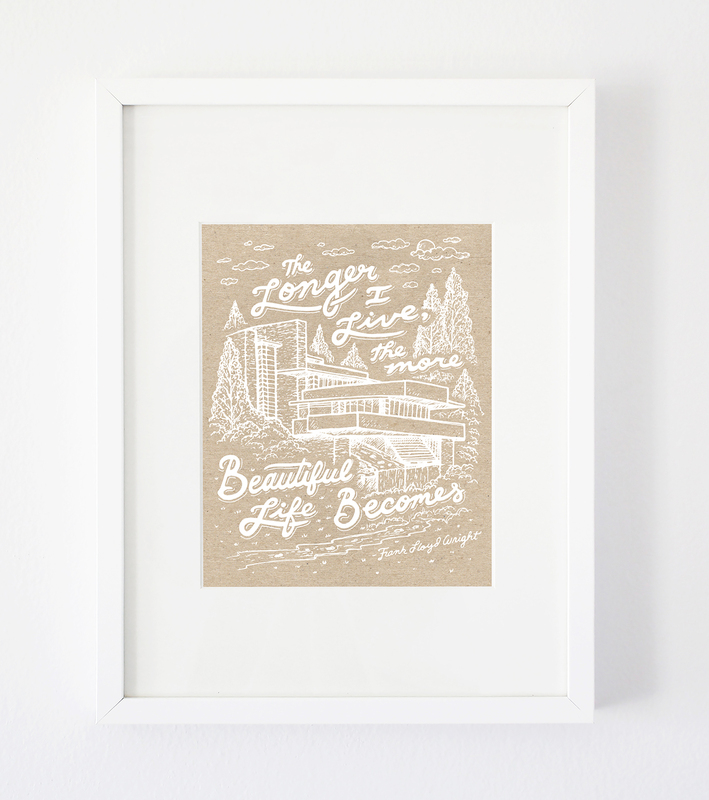 Continuing our nature-inspired illustration series that started in August 2012, we produced a Frank Lloyd Wright quote as an 8×10 white on kraft screen print. 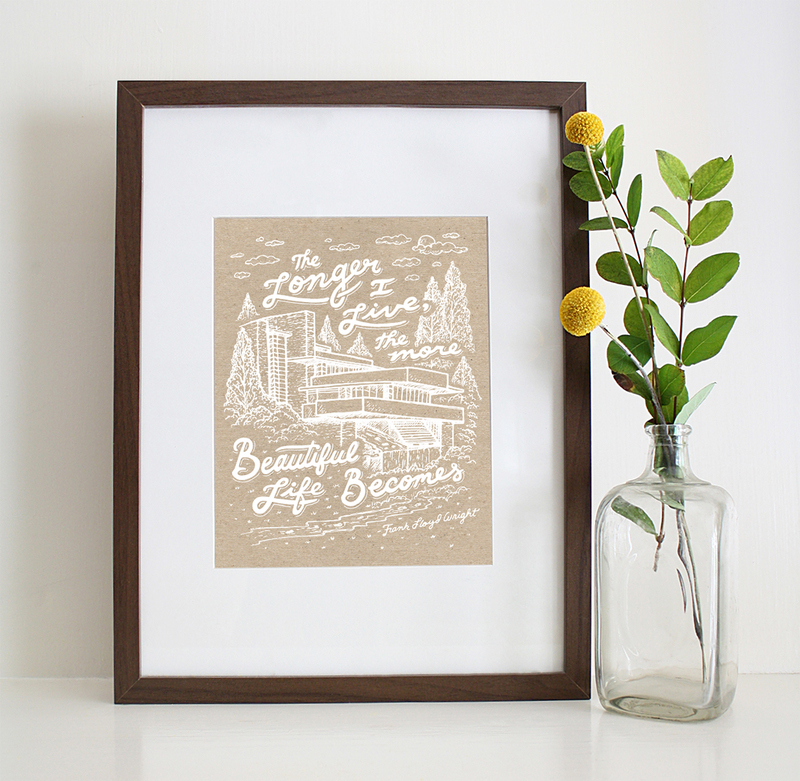 We mixed the lettering with an illustration of Frank’s Falling Water house, and elaborated on the details a bit more than usual. Available for sale in the Satchel & Sage shop. 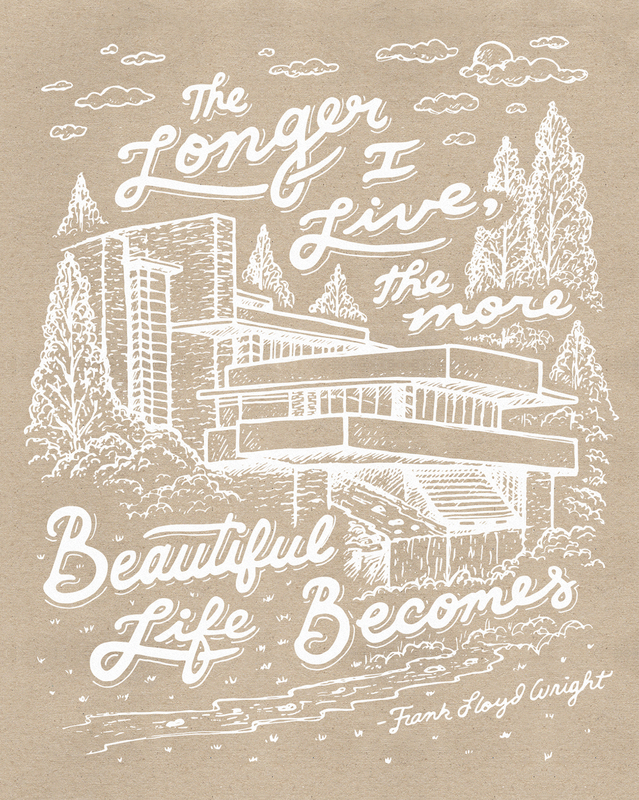 This entry was posted in Product Launch and tagged falling water, frank lloyd wright, print, screen print, white on kraft. Bookmark the permalink.